BBMP nothing but Bruhat Bengaluru Mahanagara Palike has introduced new services for the Citizens of Bengaluru to pay their property taxes in online. A revolutionary reform taken by Karnataka government in making all the property taxes, name changes, tax receipt download in online very easily. There is no extra charges while paying taxes through credit cards or debit cards. While paying taxes through online if you experience any problems such as no generation of tax receipt then provide the transaction details in online payment complaint form. Please note that it will take 2-3 working days for reconciliation of such transactions. Citizens of Bengaluru can avail 5% tax benefit if you pay full amount before 30th April of assessment year. 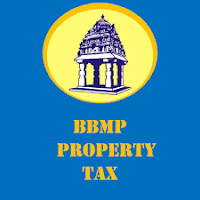 1.Go to the http://bbmp.gov.in/en/web/guest/online-property-tax-payment (or) click the below link to access. 2.Click on " CLICK HERE" . It will open property tax system window. 3.Enter the application number with PID details and click continue. 4.It will open the another window with payment gateway details. 5.Choose your payment method to pay your bbmp property tax online.